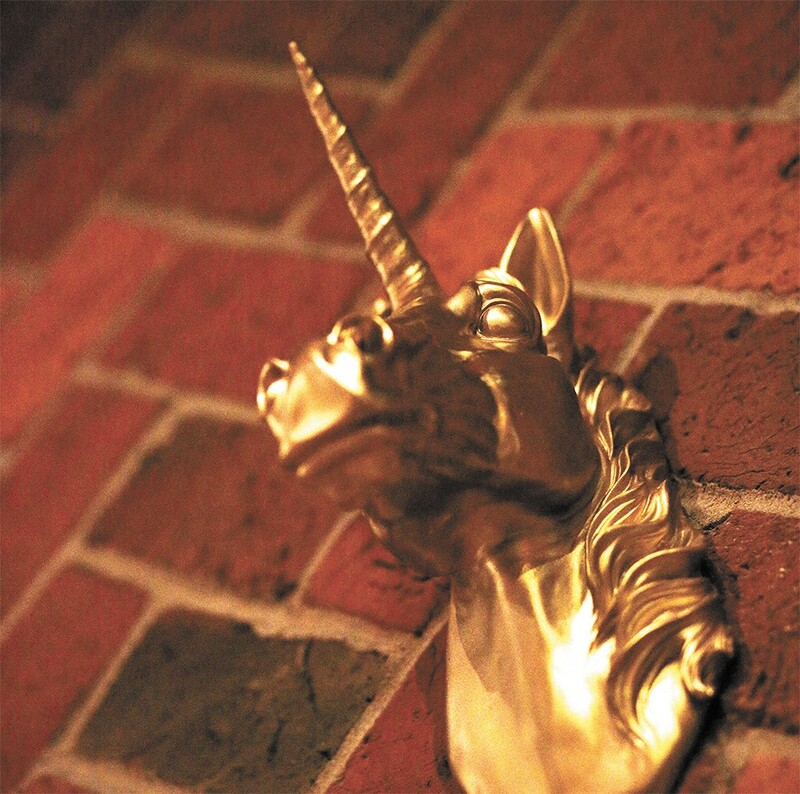 The Gilded Unicorn serves subterranean cocktails beneath the Montvale. The first indication there's something new happening in the basement of the Montvale Hotel might be a large mural not far from the entry, one of the leftovers from the departed Catacombs restaurant that chef/owner Adam Hegsted decided to keep when he took over the space. But Hegsted wasn't going to preserve the painting as-is. He wanted to give it a new twist — a common theme for his latest venture, the Gilded Unicorn, where the menu is dominated by modernized pub grub and classic cocktail updates. The twist on that mural? Hegsted had someone replace the heads of the three drinking buddies from the original with the heads of the mythical beast that helped give his new spot its name. Plenty busy with the burgeoning culinary empire he's built over the past few years, including Yards Bruncheon and The Wandering Table in Spokane and The Cellar in Coeur d'Alene, Hegsted wasn't necessarily looking to open another place just yet. But his memories of the soaring ceilings, rock walls and prominent wood accents on past visits to Catacombs for pizza allowed him to ignore the "For Rent" sign in the window for only so long. "The timing here was not ideal. It wasn't what I was planning, but it's such a fantastic spot, so it was really hard to pass it up," Hegsted says, noting that his team has worked together for years, and was excited to brainstorm ideas for the one-of-a-kind Spokane space. The subterranean location fueled the direction of that brainstorm into what Gilded Unicorn became. It had a soft opening last week, and officially opens Friday. "I had the idea for a speakeasy bar just because of the feeling of this space," Hegsted says. "It's a classic Spokane place, and obviously we used to have some of that [underground booze trade] going on here. I wanted to bring back that feeling of the very classic style, but I wanted to have fun with it." The namesake of Adam Hegsted's latest restaurant. Hence the silly name and kitschy artwork covering the walls, in place of the old tapestries that adorned them during Catacombs' decade-plus run. The fun isn't relegated to the décor, as the menu has plenty of options for visitors to have a chuckle while they get their drink on, from the names of cocktails like the Guns n' Rosé (Old Grand-Dad bourbon, Lillet, Peychaud's bitters, grapefruit) and Pink Elephant (gin, maraschino, blackberry, grapefruit, lime) to food that will take many back in time. "We basically sat down and talked about the '50s. Or not even the '50s, but just stuff that our moms made, like Rice-A-Roni and tater-tot casserole," Hegsted says. "We made a list and sort of whittled it down to things we can make a little different or special, and fit in a pub." The resulting menu is full of items sure to become new favorites for fans of some of the specialties at Hegsted's other restaurants. In addition to glamorized versions of the Rice-A-Roni (now Rice-y-Roni Stroganoff, $10, featuring braised beef in slow-cooked risotto) and the aforementioned casserole (this version, $9, includes braised beef, wild mushrooms and brown cheese with the tater tots), the "Less Hungry" section of the menu has Pigs in a Blanket ($12) featuring a flaky pastry and delicious house-smoked sausage, and a brick-fired pretzel ($9) served with a Gouda fondue. The "More Hungry" section includes creative takes on mac and cheese, Swedish meatballs and a particularly tasty Mini Chicken Dinner, served with pickles, gravy and chicken fat potatoes ($16). 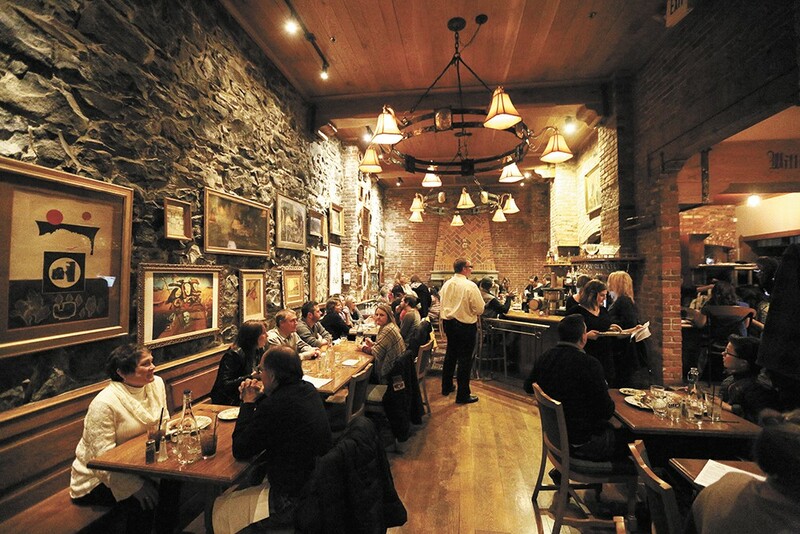 The food will certainly make some folks regulars, and the bar featuring craft cocktails, a decent selection of wines by the glass and rotating taps of local brews will keep the Gilded Unicorn open late for the drinking crowd. Hegsted will serve brunch on Sundays, too, to serve the downtown hotel crowd and perhaps some of the folks hung over from a visit the night before. Whatever draws people to his new space, Hegsted is confident that the region is ready for another new spot to eat.